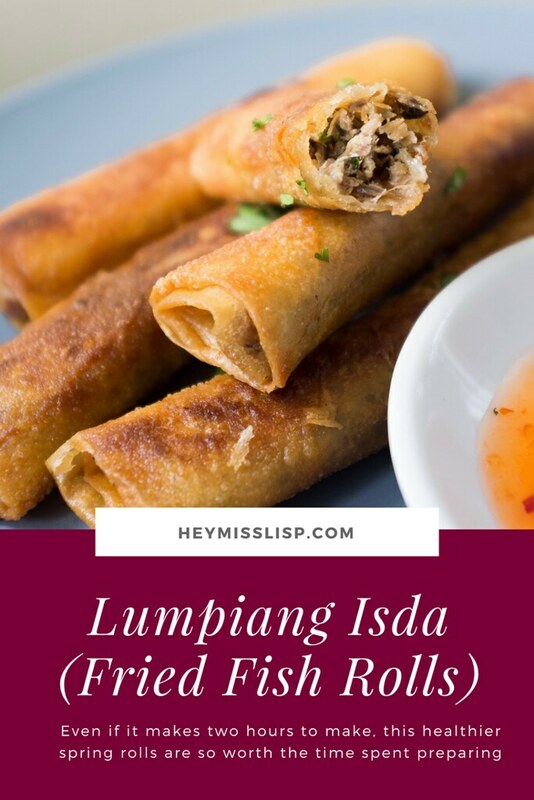 My mom used to make these fish rolls using galunggong–in English it seems to be some sort of scad–and I really never knew how tedious this was. While it is cost effective (a.k.a. cheap), making it from scratch will easily take a couple of hours of your time! And it will be gone in fifteen minutes! I really liked this as a kid and I think one reason mom makes it is that it’s easier to feed kids fish if it’s in a friendlier spring roll form. When I asked her for the recipe a few years back, she of course told me in the most mom way of Do this, do that, add some of this and some of that. That’s basically how I learned to cook. No measurements, always just tasting, adding more of something, regretting it most of the time, and winning some. So today my recipe will be my mom’s version. No worries, it’s hard to do this incorrectly. Trust yourself! What I haven’t told you beforehand was that this recipe requires cooking THREE times. Despite my lazy self, these rolls are totally worth my time. Also because A loves it! Cooking Part 1: Half cooking the fish. In a pan, lay all cleaned fish side by side. Cover with enough water, then add a little bit of soysauce to give it a subtle brown. Add a little vinegar to fight the fishiness. Crush a few cloves of garlic, add that and season with pepper. Turn up the heat, get to a simmer until fish is half cooked. Drain. Separate meat from fish bones and discard bones. Cooking Part 2: Preparing your lumpia filling. Heat up a bit of oil and sauté some minced garlic and finely chopped onions. Add finely minced carrots, and season with salt and pepper. When carrots are slightly soft, add the fish meat and season with pepper, fish sauce and a little bit of soy sauce. 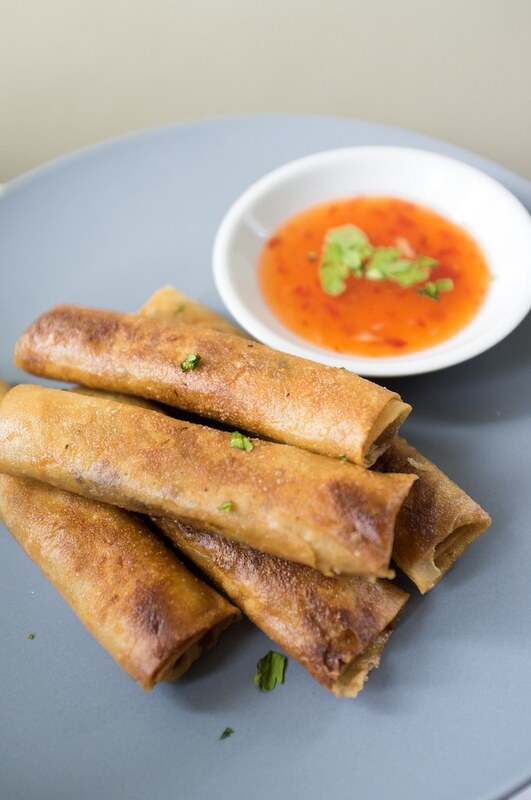 Depending on how you want your fish rolls (with rice or just on its own), match that thought to how much flavor you want in every teaspoon of fish–because that’s basically just as much fish you get with every bite of the lumpia. When done, turn off the heat and mix in chopped kinchay. Interlude: Making rolls. Let the fish meat cool down a bit, and prepare to start making rolls. On a typical wrapper place about 2-3 teaspoons of the fish, depending on how densely packed you want it. Seal each wrap by wetting it with water, or an egg wash. Cooking Part 3: Frying them up. Fry / deep-fry the rolls until golden brown. Drain on a paper-towel lined plate. Serve warm with a sweet-chili dipping sauce.